Well I have finally got round to putting up two new tutorials on our web site. 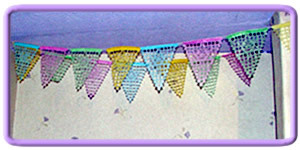 Here you will find the Papel Picado tutorial. This is a traditional Mexican craft. They cut through up to 50 sheets of tissue paper at a time using a hammer and chisel. The results are gorgeous, delicate tissue paper cut outs. 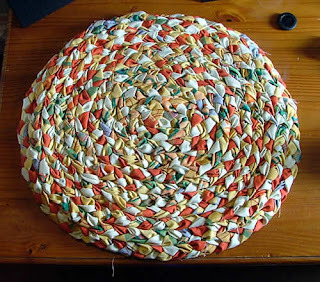 I have also put up my Rag Rug tutorial. 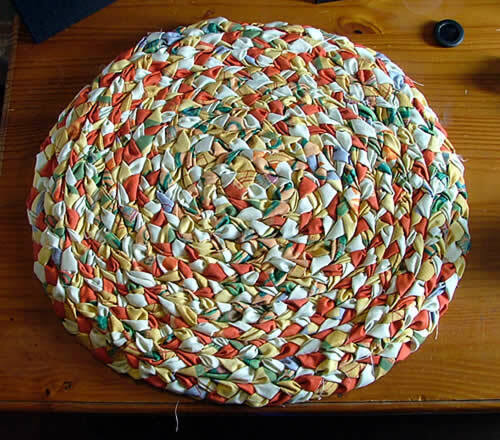 This is a great way of using up lots of old fabrics you may have from other projects. I was really pleased at how well this came out, it looks gorgeous and is nice and soft. It washes well too, I made a small rug so I could get it in my machine easily and it washed fine. I hope you enjoy the tutorials and if you have a go then please let me know. It would be lovely to see how you get on so take some pics too. If you have any problems with any of the tutorials on my site please let me know. You can contact me through my site or here on my blog.